Lene Arnett Jensen received her Ph.D. from the Committee on Comparative Human Development at the University of Chicago, and did a year of postdoctoral work in the Department of Sociology at the University of California, Berkeley. In 2005-06, she was a Research Fellow with the Academy for Migration Studies in Denmark. She joined the Department of Psychology at Clark University in 2006. In 2010-11, she held the Nehru Distinguished Chair at the Maharaja Sayajirao University of Baroda in India. In recent years, she has been a Visiting Professor at Stanford University (2016-17) and the University of Bordeaux, France (2017-18). In 2019, she will be an Invited Fellow at the Chinese University of Mining and Technology. The aim of Dr. Jensen’s scholarship and professional collaborations is to move research on human development toward a focus on both what is universal and what is cultural. Globalization means that the next decades will continue to see increasing interactions between peoples and cultures across the world. Almost all future population growth is projected to occur in developing countries, with the United States being the rare exception among developed countries. These facts and future projections speak to a need for a “cultural-developmental approach” to human psychology. The central idea is that infants everywhere start out with the same set of psychological tendencies. In the course of development, children learn and respond to the ways of their culture or cultures, and become participants in shaping the culture’s future. Dr. Jensen and her colleagues have conducted research with diverse religious, ethnic, and socio-economic groups in countries such as Denmark, India, Thailand, Turkey, and the United States. Her publications include Human Development: A Cultural Approach, 3e (2019, with Jeffrey Arnett, Pearson), Child Development Worldwide: A Cultural Approach, 1e (2018, with Jeffrey Arnett, Pearson), the Oxford Handbook of Human Development and Culture (2015 & 2016, Oxford University Press), Moral Development in a Global World: Research from a Cultural-Developmental Perspective (2015, Cambridge University Press), Bridging Cultural and Developmental Psychology: New Syntheses for Theory, Research and Policy (2012, Oxford University Press), Immigrant Civic Engagement: New Translations (2008, with Constance Flanagan, Taylor-Francis), and New Horizons in Developmental Theory and Research (2005, with Reed Larson, Wiley). 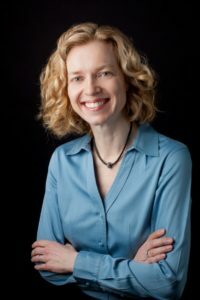 Dr. Jensen is currently working on Child Development: A Cultural Approach, 3e (forthcoming, with Jeffrey Arnett, Pearson), and the Oxford Handbook of Moral Development (forthcoming, Oxford University Press). From 2004 to 2015, Dr. Jensen was Editor-in-Chief of New Directions for Child and Adolescent Development. She chaired the 2012 Biennial Meeting of the Society for Research on Adolescence in Vancouver, Canada. Currently, she is on the editorial board of Journal of Adolescent Research. A native of Denmark, Dr. Jensen has also resided in Belgium, France, and India. She speaks Danish, English and French. She lives in Massachusetts, USA.